Our corporate rentals in Boulder are ideal for business travelers, vacationers, and those in need of quality temporary housing in Boulder Colorado. We have a large selection of furnished apartments, condos, and homes for rent in Boulder, Boulder County, and the surrounding areas. We provide corporate housing in the following locations: Downtown Boulder, Pearl Street Mall, University of Colorado-CU Boulder, 29th Street Mall, Whittier, Gunbarrel, Niwot, Uptown, Table Mesa, North Boulder, and South Boulder. We provide corporate apartments and furnished rentals close to the locations of NIST, NOAA, NCAR, and UCAR as well as locations close to major Boulder companies such as IBM, Ball Aerospace, Crispin Porter, Google, Array Biopharma, Qualcomm, and more. Our furnished apartments and executive rental homes are a comfortable and affordable alternative to hotels and extended stay hotels in Boulder. They provide and excellent temporary housing solution for a wide range of needs. If you are in between homes, temporary work or contract assignment, in need of government housing, insurance housing, or just vacationing, our corporate rentals will make you feel at home in Boulder! Relocation Services in Boulder Colorado. Housing Helpers is a proud member of the Boulder Chamber of Commerce. Supporting the business community in Boulder Colorado. Housing Helpers is a proud member of the Boulder Area Human Resources Association. Supporting Human Resources Proffessionals in Boulder Colorado. Call your Boulder Corporate Housing Experts today! "The service was prompt, thorough, and efficient for our corporate apartments. The facilities were clean, appealing, and made for a comfortable stay in Boulder." 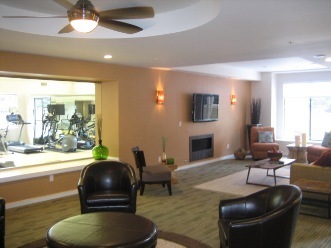 "We have been very satisfied with our corporate apartments in Boulder. Housing Helpers is a trusted vendor that we have come to rely on to keep our travel costs under control when housing our people in the Boulder area."